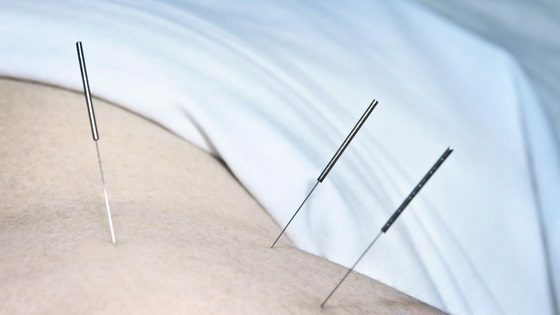 » How Much Does Acupuncture Cost? Acupuncture is one of the oldest health care systems of Traditional Chinese Medicines. It is said to be developed over 2000 years ago to rebalance energy flow among various strategic points of one’s body. These balanced strategic points play important roles in boosting our health by protecting us from many ailments. The practice of acupuncture requires extremely thin needles which are inserted in certain places of one’s body called strategic points. It is often safe if it is performed by experienced individuals. Some of the common side effects of acupuncture include viral hepatitis, bacterial infections, puncture of organs etc. In the ancient times, the most common application of acupuncture was treating pains. But, with its proven medicinal benefits, it is now often used in treating pain and discomfort associated with the multitude of diseases. For osteoarthritis: Acupuncture finds its way in treating osteoarthritis. There are supporting scientific evidence for the same. Neck pain or neck disorder is one the most common musculoskeletal system disorder anybody can face at any time. The disorder results in discomfort and restrains routine jobs. But, acupuncture is a very beneficial pain reliever. The study finds that the subjects who undergo acupuncture complain less-pain than those who did not attend it. Insomnia is a condition when someone has troubled sleep. The reason for insomnia may be anything from irregular sleep timings, certain medications, anxiety/depression/stress, health conditions, as well as the uneasy sleeping environment. Insomnia can also be eased through acupuncture. The cost of acupuncture treatment is not fixed and may vary country to country and city to city. It may also depend upon the experience and knowledge of your acupuncture therapist. However, according to the British Acupuncture Council, the average cost for the first consultation was nearly 50 euros in 2011. The average cost for each session was 40 euros in the same year. The average cost per session of acupuncture in the United States varies from $65 to $125 per person. It may be slightly less or higher based on your location and your acupuncturist. The cost does not matter if your acupuncture sessions go well and you start seeing positive results. In many studies, people have been treated in one or two sessions a week for a couple of weeks followed by a monthly maintenance. What’re your thoughts about acupuncture? Did you ever attend any session? Previous Post Is Ginger Good For Sore Throat? Next Post What Equipment Burns More Calories Elliptical or Treadmill?